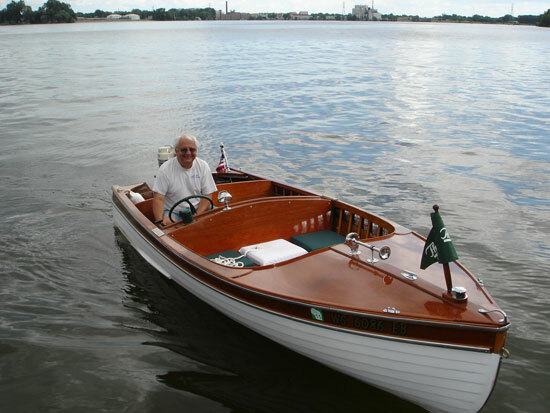 I purchased the 1955 Cortland Seacoaster Delux in the early fall of 2007 from the original owner who purchase it in N,Y. and later brought it to Neenah when he transferred here. I worked on it through the spring and summer of 08. 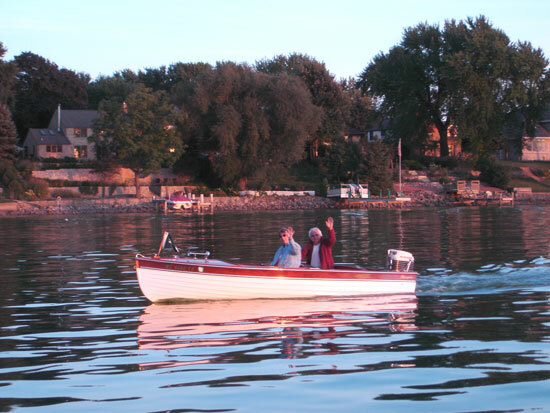 In mid July, its first launching, I took it through the locks, in Lake Winnebago and to the Neenah Classic boat show in Neenah, Wi. (No problems and no leaks). The boat was in good structural condition and required lots of sanding, stripping and fairing. It received 5 coats of Interlux Schooner varnish and the hull had 2 coats Brightsides primer and 2 coats enamel. The engine is a 1960 Mercury 400 which I also restored.